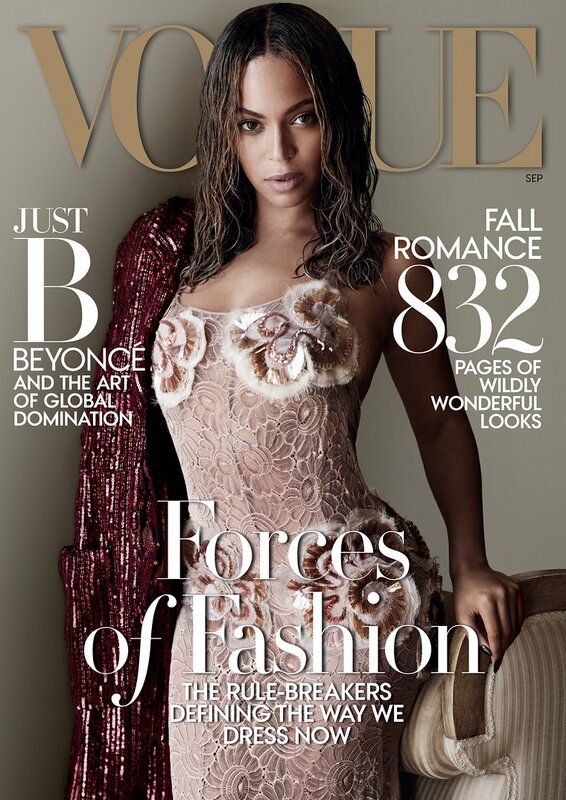 If you have been living under a rock for the last couple of weeks or you just don't know, Beyoncé is gracing the cover of Vogue for the September issue. This is the 3rd time Beyoncé has been on the cover. Not only is she on the cover, but the cover of the September issue is wanted by many. This is the 3rd time the cover has been SLAYED by a woman of color, previous women include Naomi Campbell and Halle Berry. Beyoncé is the first African American artist to grace the cover of the September issue. On the cover Beyoncé is wearing a gown by Marc Jacobs. Photos from Vogue.com, Video from Beyoncé's YouTube channel.